From Schiffer Publishing. Released 2009. The Delaware Coast. Those words conjure images of pastel sunrises and brilliant sunsets; of historic communities and wooden boardwalks; of memories past and vacations present. 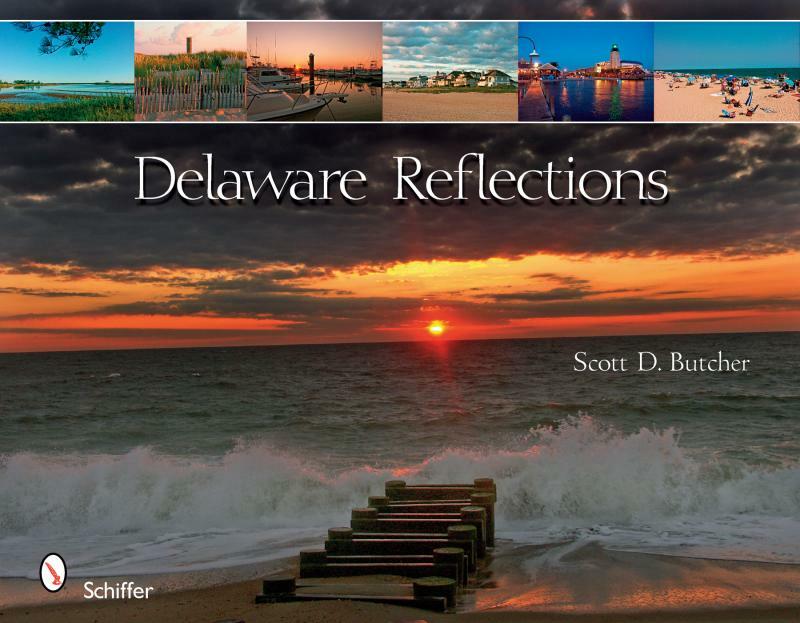 Delaware Reflections captures the essence of the Delaware Coast through Scott Butcher’s stunning photography of Lewes, Rehoboth Beach, Dewey Beach, Bethany Beach, and Fenwick Island , as well as Cape Henlopen State Park, Delaware Seashore State Park, and Fenwick Island State Park. Take a tour of Delaware’s coastal towns, beaches and bays through this keepsake book, and visit the beach all year long.